Inside Hall 6, McCloskey International will have a booth on the CEA UK Pavillion, where the sales team look forward to meeting and greeting new and existing customers from France and around the world. They will be assisted by representatives from their two French dealers, Cimme Sodimat and Groupe Garonne. Intermat 2018 is seen as the perfect opportunity for McCloskey International to show the I34R on the International stage, having launched it initially at Steinexpo, Germany last year. The I34R is the first of a series of compact crushers designed to deliver high performance and expanded versatility. These new crushers are able to nimbly move around in confined spaces and can continue moving whilst crushing. Their small footprint is uniquely suited to the demolition and asphalt recycling industry, aggregates and smaller scale construction projects. At less than 2.5 metres wide, the I34R can be transported easily between sites. The new crushers also boast flexibility, with standard machines converting to recircs in just a few hours. The new line of compact crushers shares many of the same features as their full-size family members, including full-colour screens, open engine compartments for ease of maintenance, and also ease of use through less complexity of the electrical drives and clutch system. 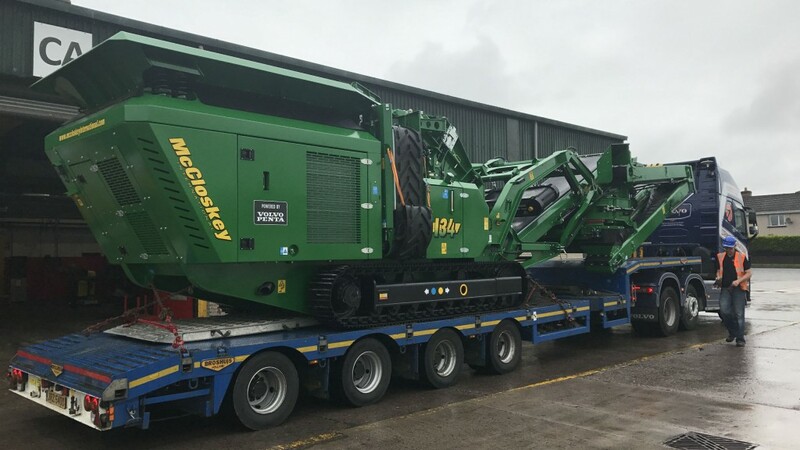 McCloskey representatives and dealers will be on hand to discuss the features and benefits of this new machine, as well as the rest of their product range.